In this Aug. 24, 2009 picture provided by the US Coast Guard, the US Coast Guard Cutter Healy breaks ice ahead of the Canadian Coast Guard Ship Louis S. St-Laurent in the Arctic Ocean. 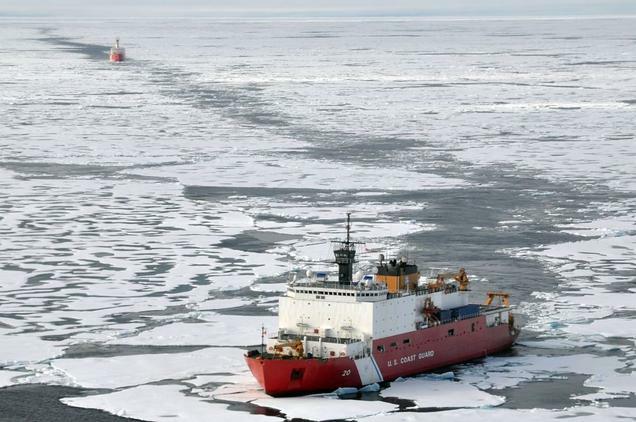 The two ships are taking part in a multi-year, multi-agency Arctic survey to define the Arctic continental shelf. Public-private partnerships to be imposed on Nova Scotians?